Yours truly is now the proud recipient of a Master of Library and Information Studies degree. Many thanks to Minerva, the patroness of my University. I made offerings at Her statue on our campus for the last couple of semesters, and She really came through! I also have to thank Saraswati Devi for being my rock and my everything, even when I was distracted. I guess I need to go find a job now, huh? 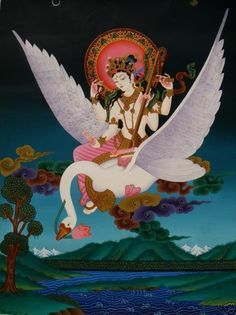 Posted on December 8, 2018 by Redfaery	This entry was posted in Gleanings and tagged devotion, learning, Minerva, religion, Saraswati, school, spirituality. Bookmark the permalink. I have a bachelor in the same study.